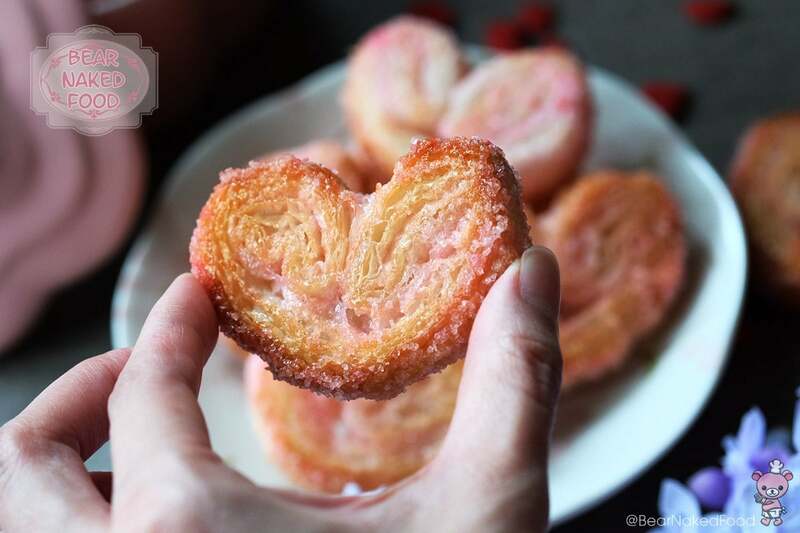 Palmiers are deliciously sweet, crispy snacks made of puff pastry and sugar. 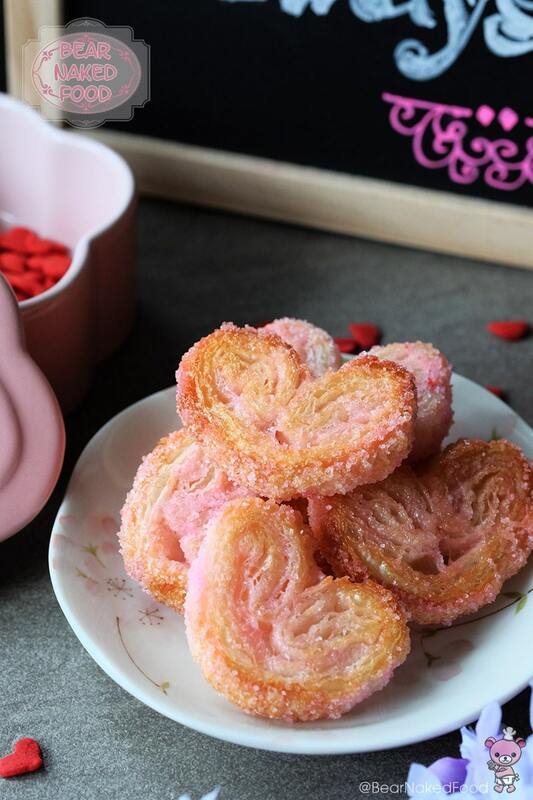 These fancy little treats are also known as elephant ears and butterfly (could you make out the resemblance?). 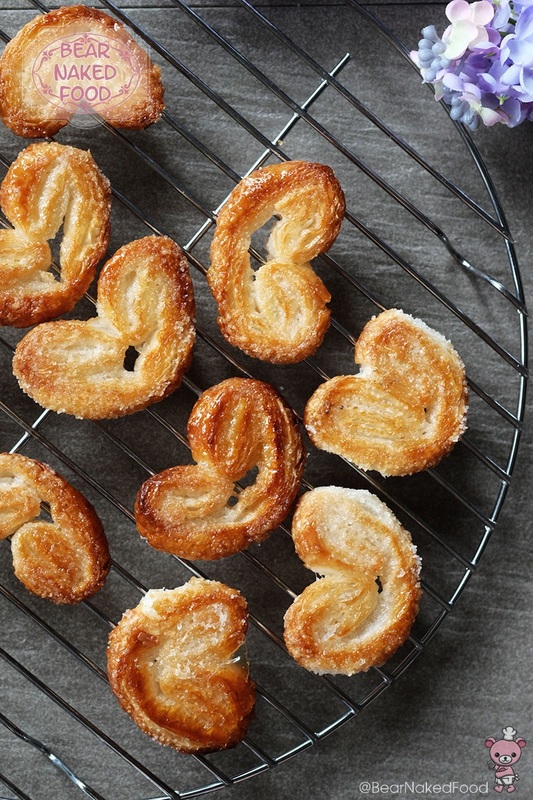 Since only two ingredients are needed to make palmiers, the star ingredient, which is the puff pastry plays an important role. Now, if you noticed the picture below, I’m using store-bought puff pastry. If you think using anything store-bought is considered “cheating” or a blasphemy in the kitchen, I totally respect your opinion. I used to be like you, until I realized there are some things which just makes my life easier to get them from the stores rather than making from scratch. In this case, puff pastry is one of them. 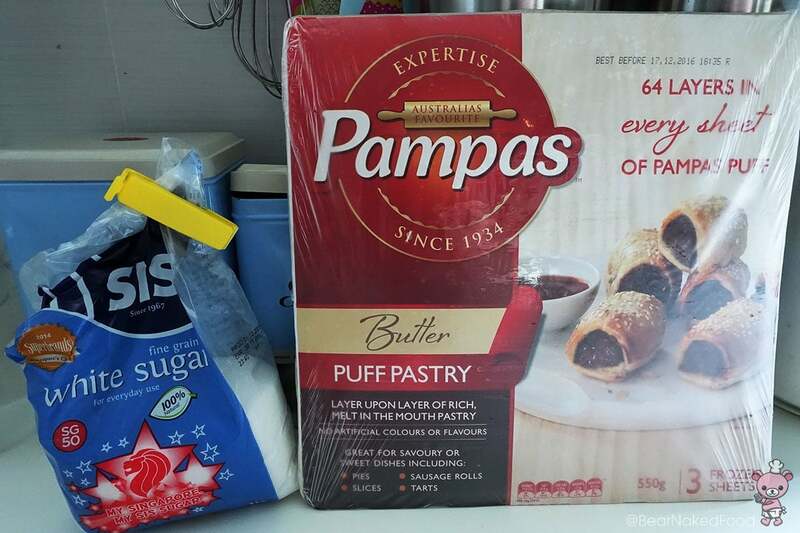 That being said, there are many different brands of puff pastry out there. Since puff pastry is the star ingredient in this recipe, it is worth getting those that are made with only butter. 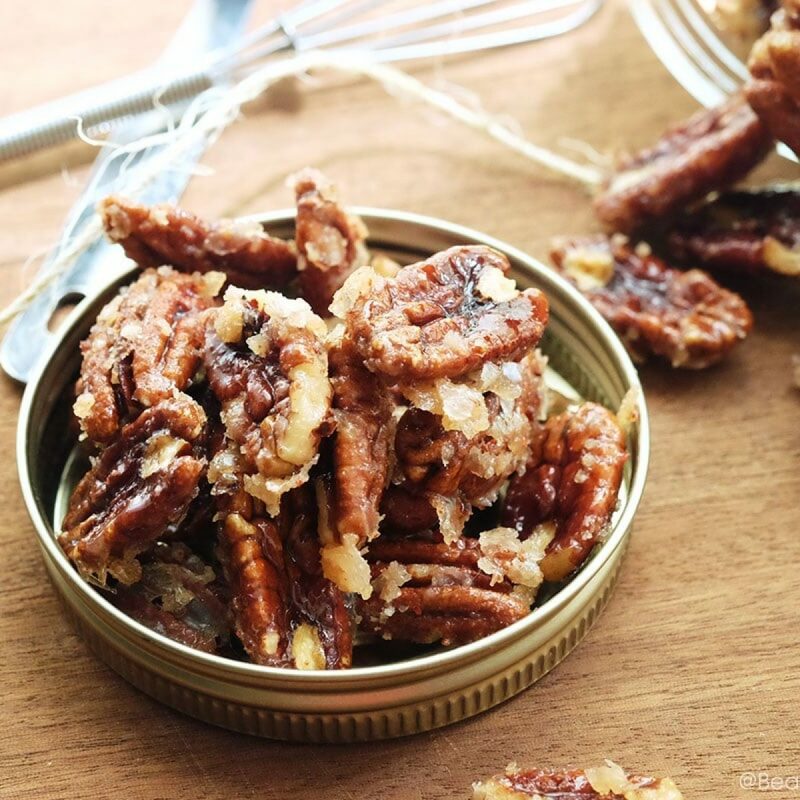 Some of them have incorporated other types of fats and that might not produce the light, buttery goodness quality you seek in palmiers. 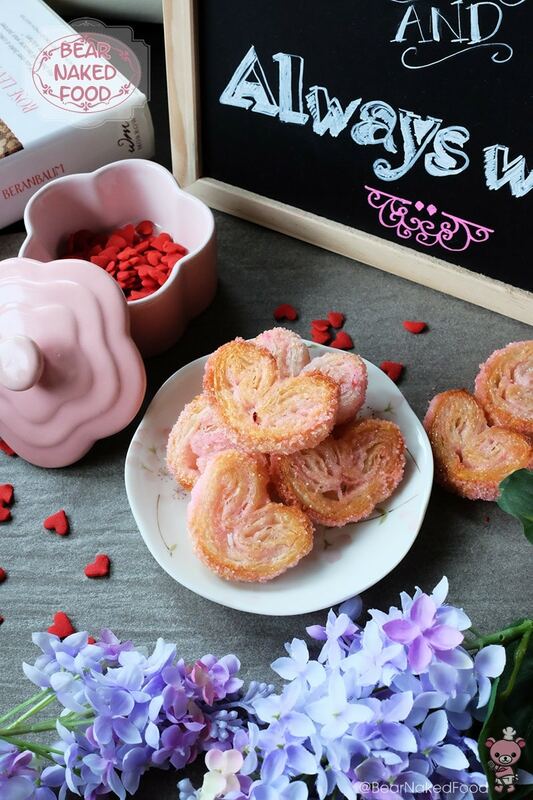 Since Valentine’s Day is around the corner, I’m making these Sweetheart palmiers for Tiger. 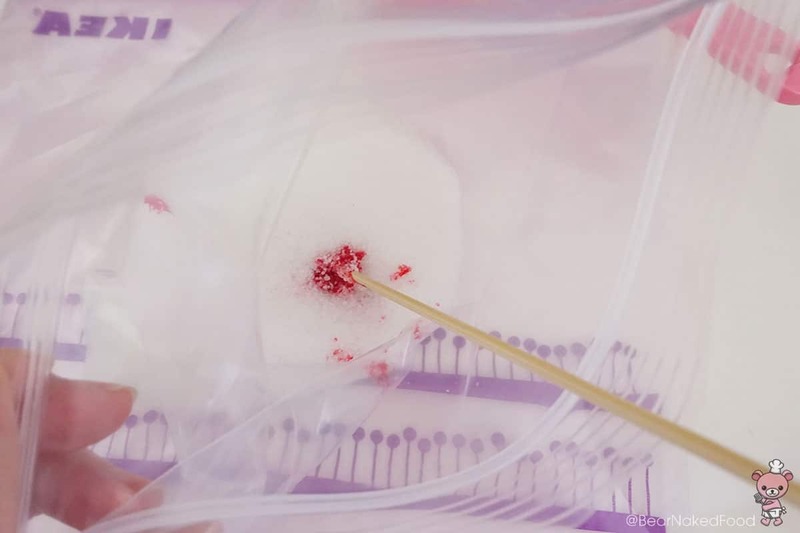 I made my own pink sugar by adding a drop of red food color to the granulated sugar. 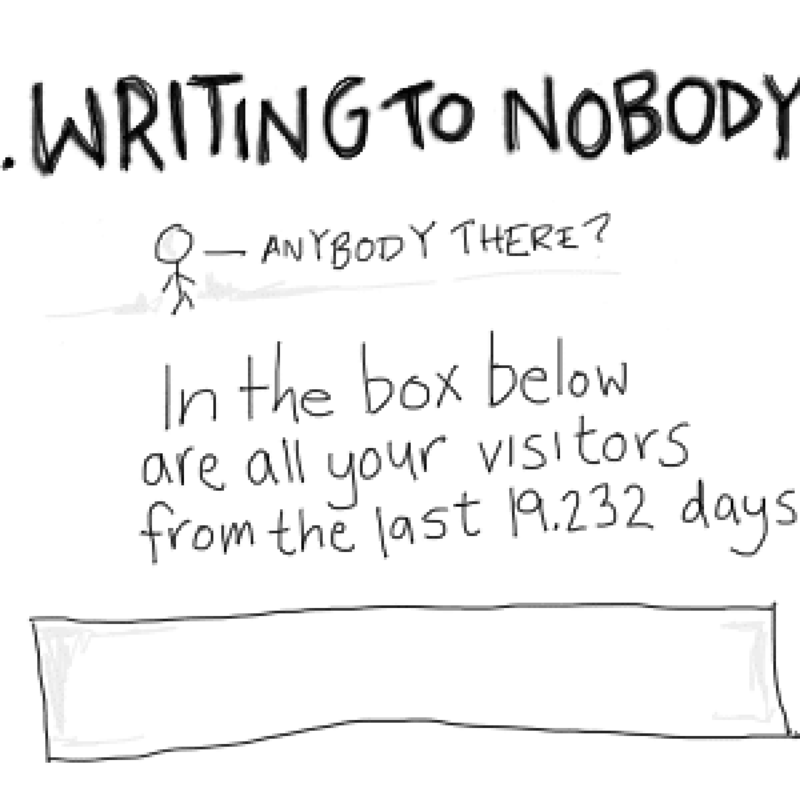 This step is totally optional but since it is for V-Day, I thought I could turn up the love-o-meter. 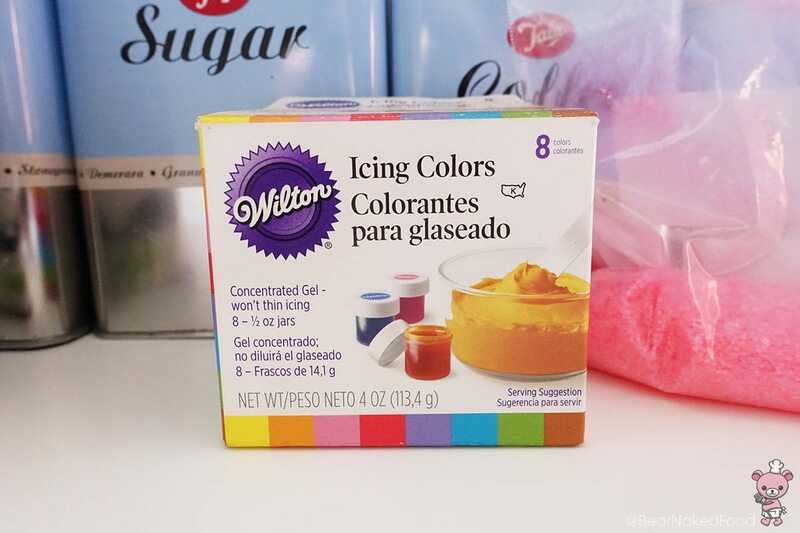 I’m using Wilton food color gel. 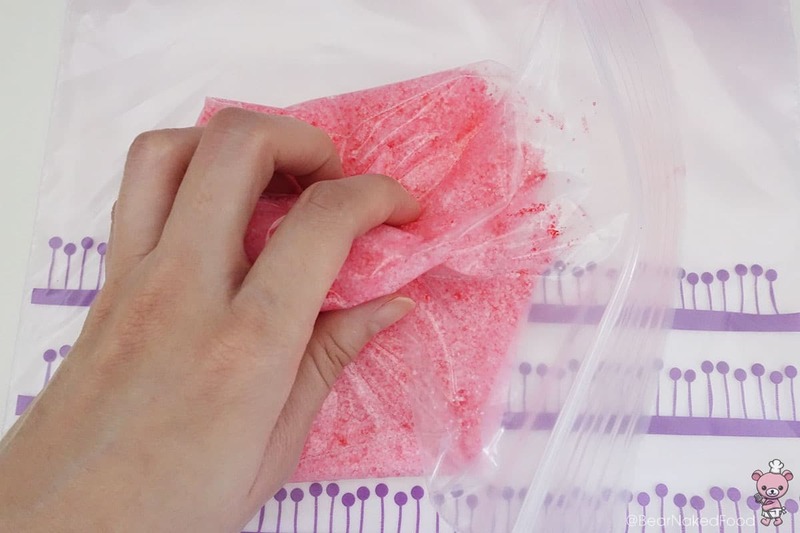 Place the sugar in a Ziploc bag and add in the red food color. 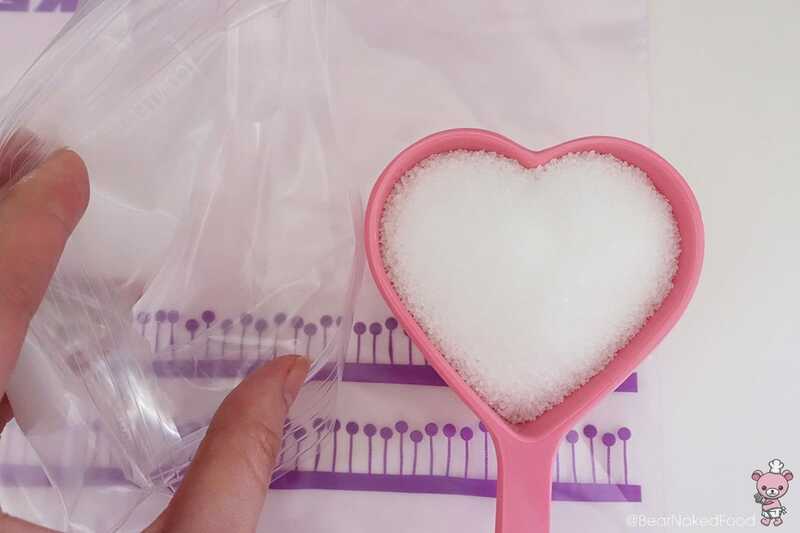 Seal the bag and gently squish the sugar around so the color will coat evenly on the sugar. 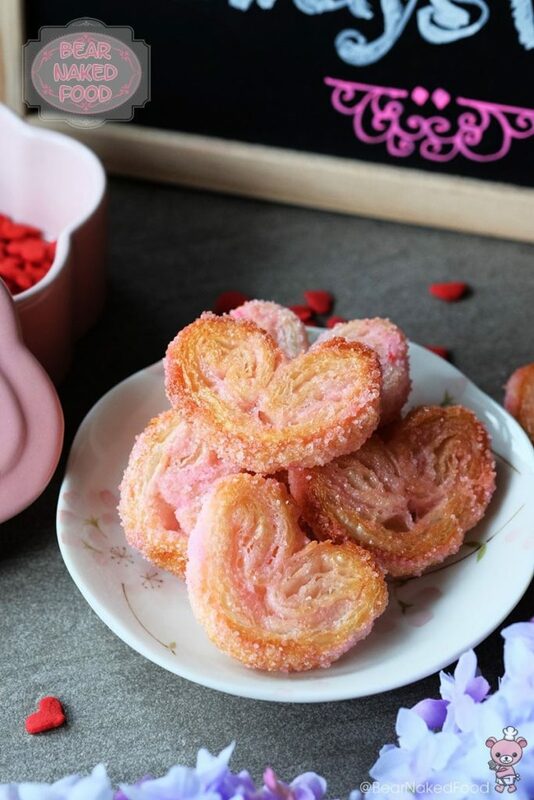 Pour the pink sugar in a medium bowl and set aside. If you are not using the food color, skip this step. 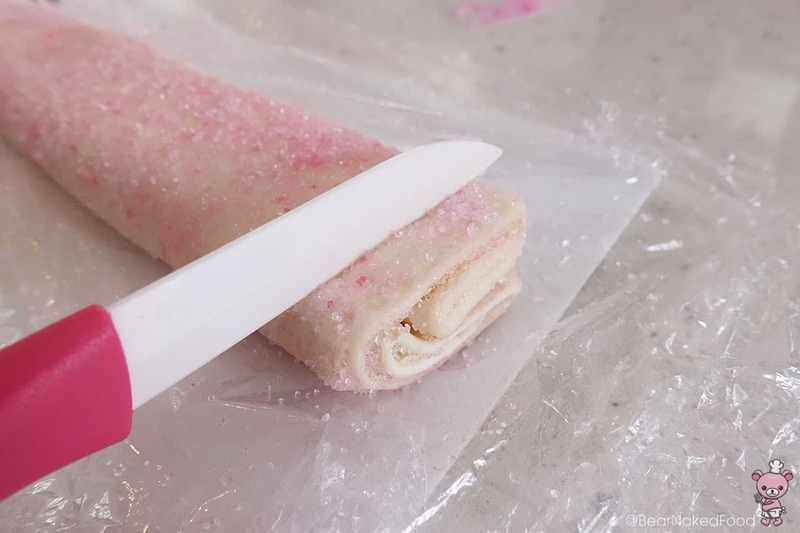 Thaw the frozen puff pastry according to the package instruction. Mine took about 15 mins at room temperature. 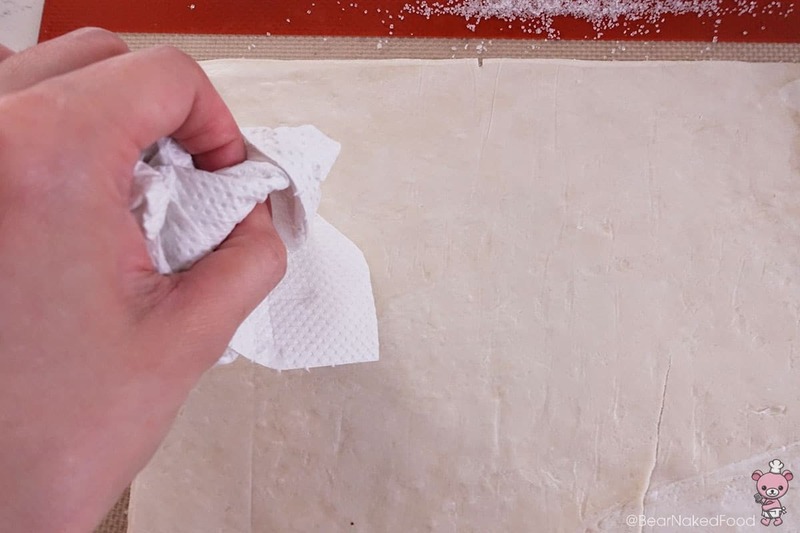 If the surface of the puff pastry feels too damp, dab it lightly with a kitchen towel. 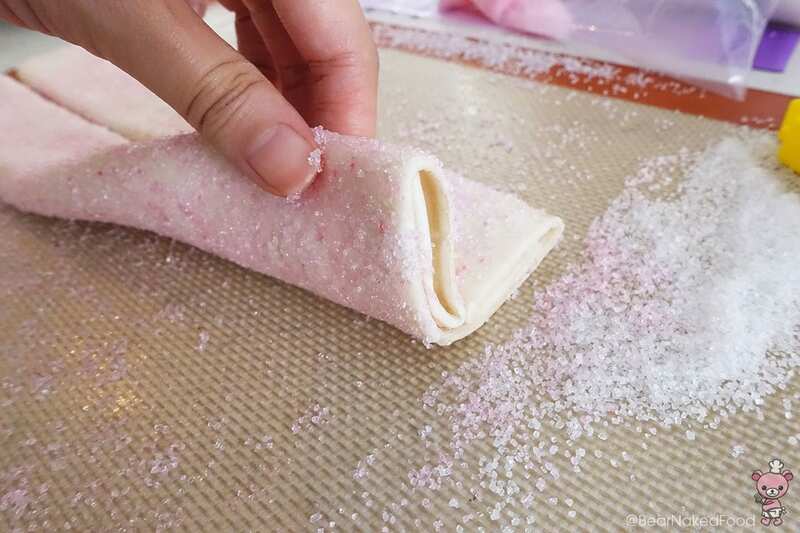 Sprinkle a visible layer of sugar all over the puff pastry. Flip the underside over and repeat the same step. 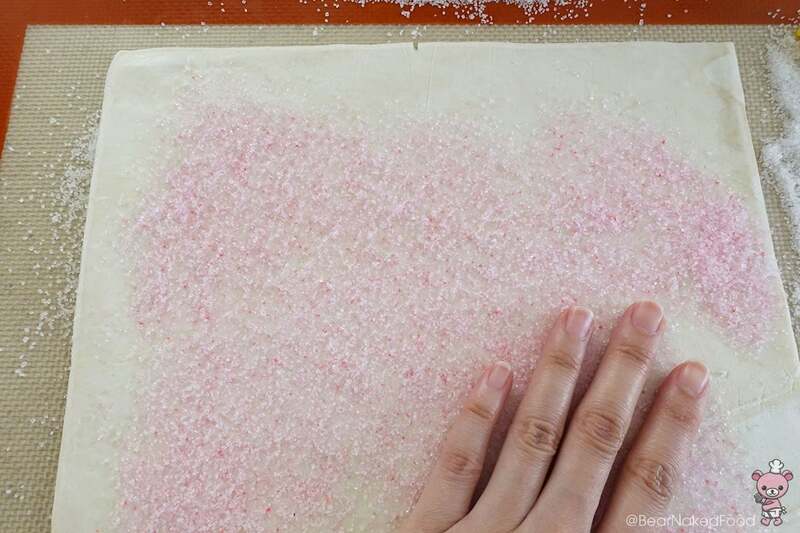 Once both sides are coated with the sugar, use your finger and trace a marking in the middle of the puff pastry. 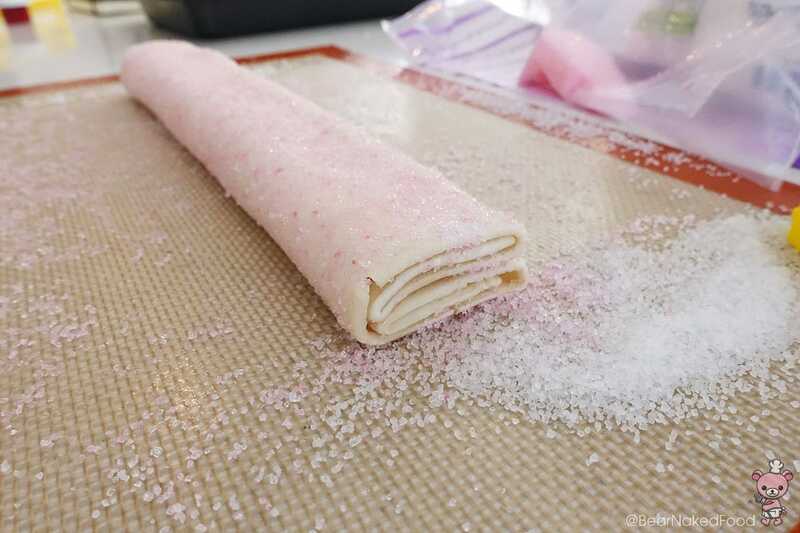 Take the bottom flap of the puff pastry and make two folds so they’ll meet at the middle section. Repeat with the top flap. Place one of the rolled fold on top of the other. 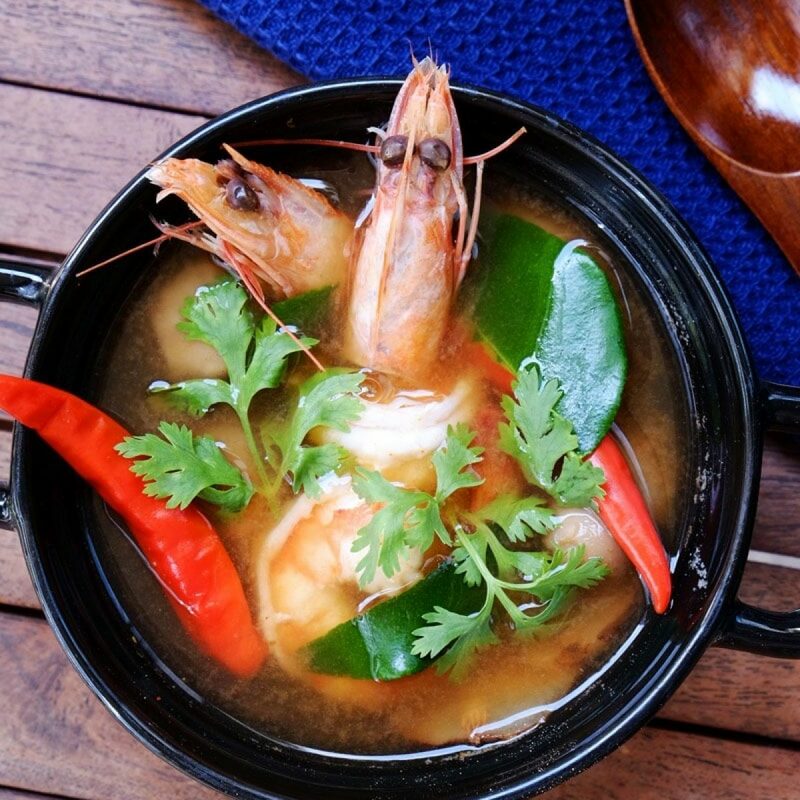 Use a small sharp knife and slice each pieces into approx. 0.5cm thickness. 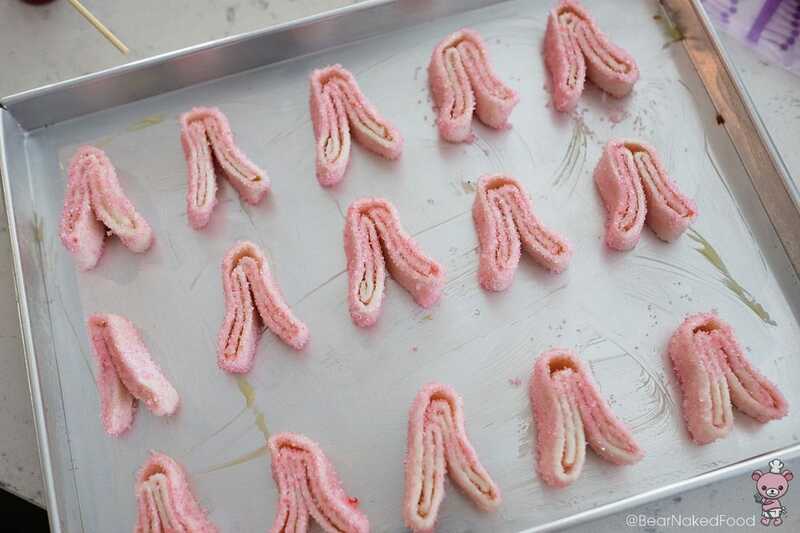 Coat the cut palmiers with the remaining sugar. 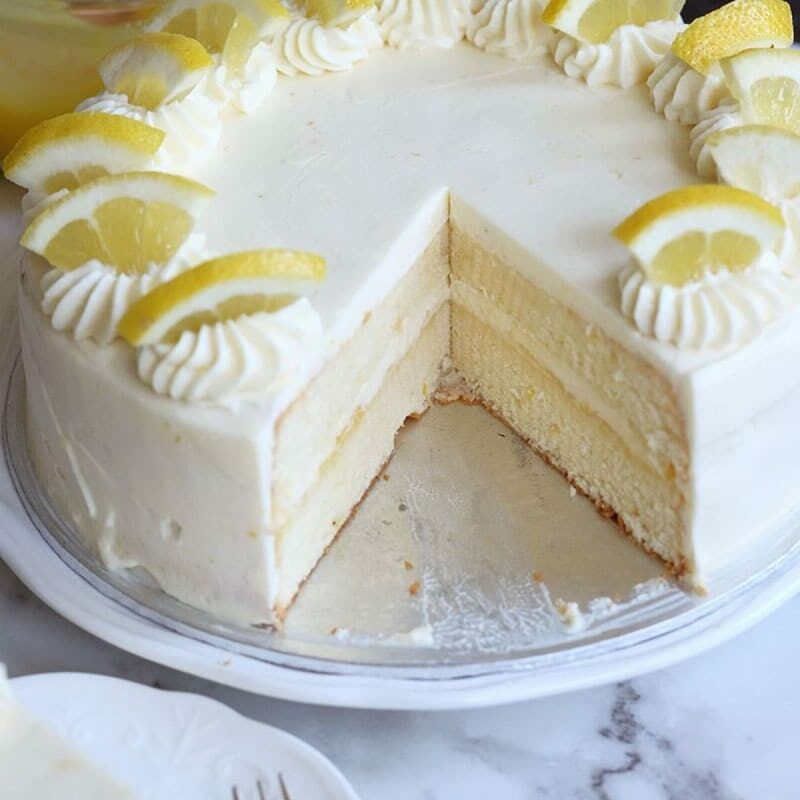 It is not necessary to use up all the sugar. Open the ears slightly to achieve the heart shape design. 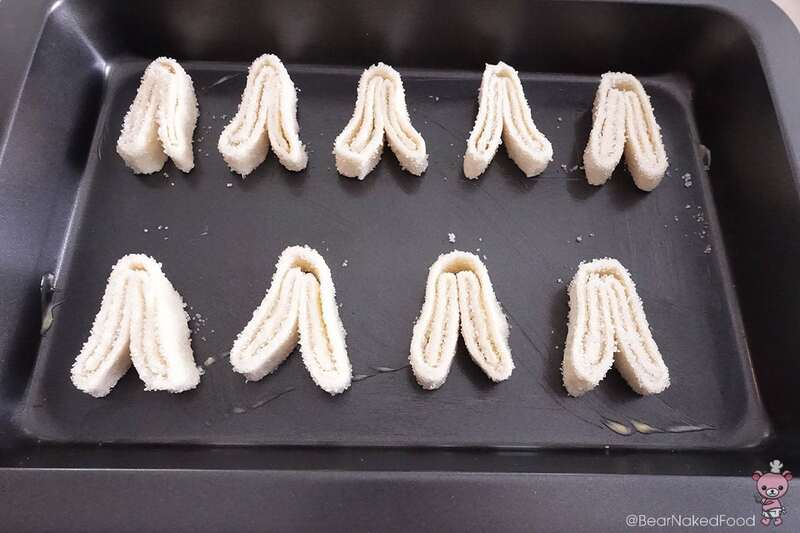 Place them on a baking tray well-greased with some butter. 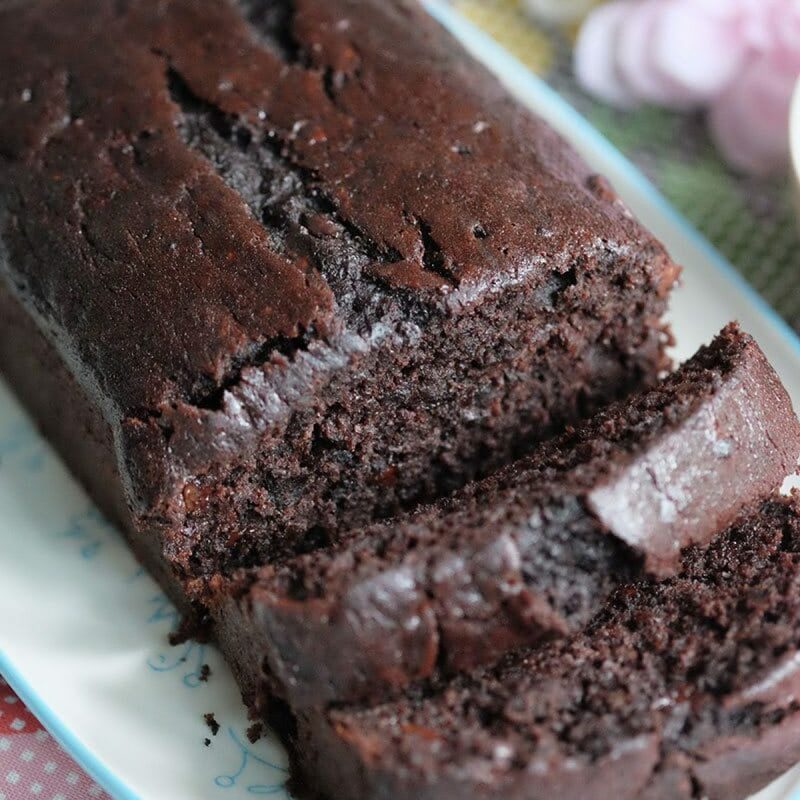 Alternatively, you could line the baking tray with a non-stick baking paper. 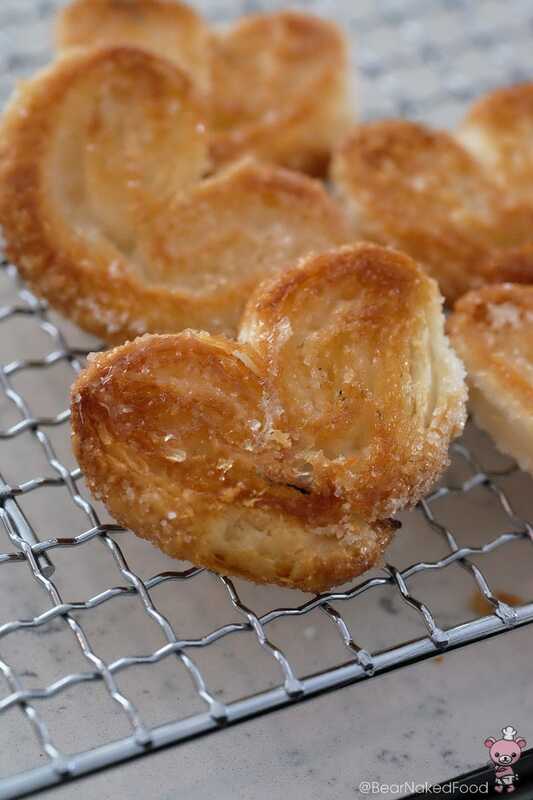 Leave about 1-inch gap in between each palmiers as they will expand during baking. I made another batch with white granulated sugar. Bake for 15 mins or until dark golden brown. Halfway through baking around 7 mins, flip them over so both sides will be beautifully browned. 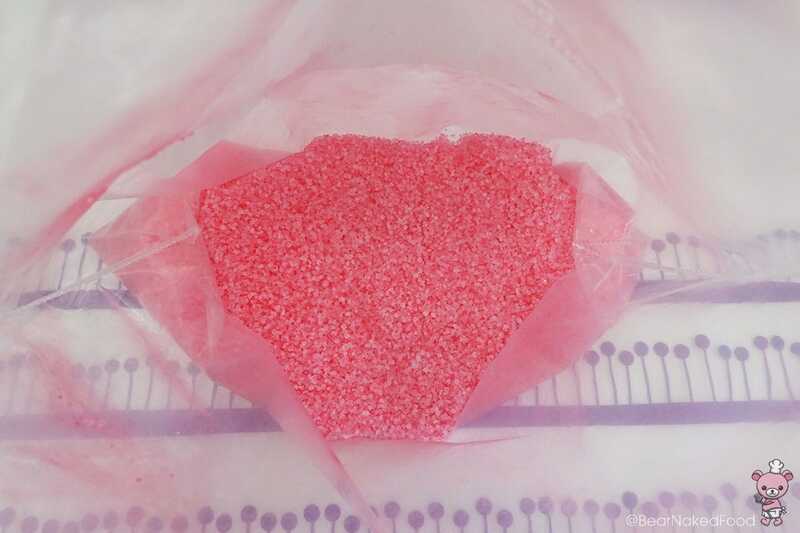 The batch with pink sugar. The other batch with granulated sugar. 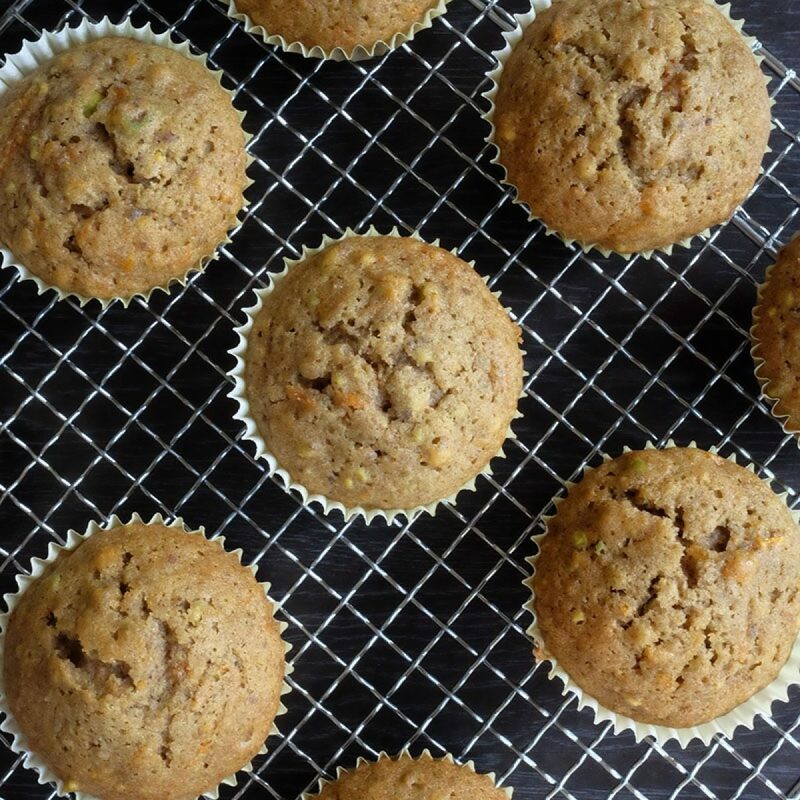 While they are still warm, place them on the cooling rack to cool completely. Store in air-tight containers for up to a week. 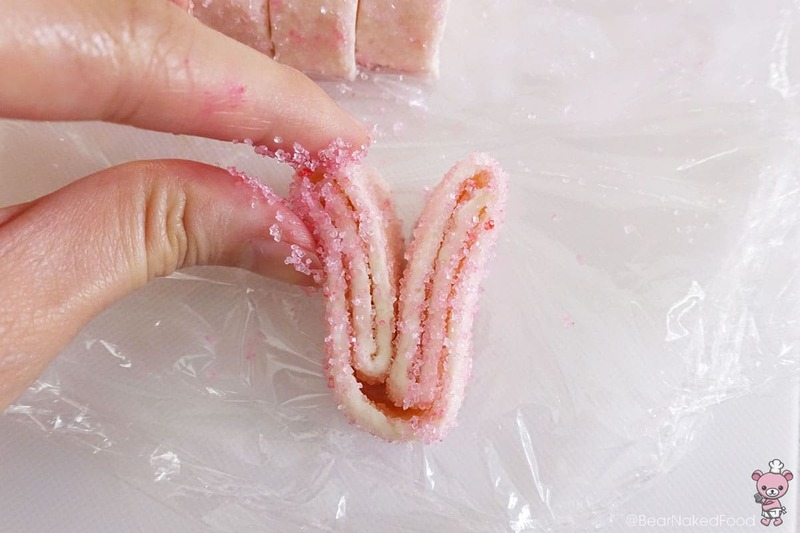 Place the sugar in a Ziploc bag and add in the red food color. 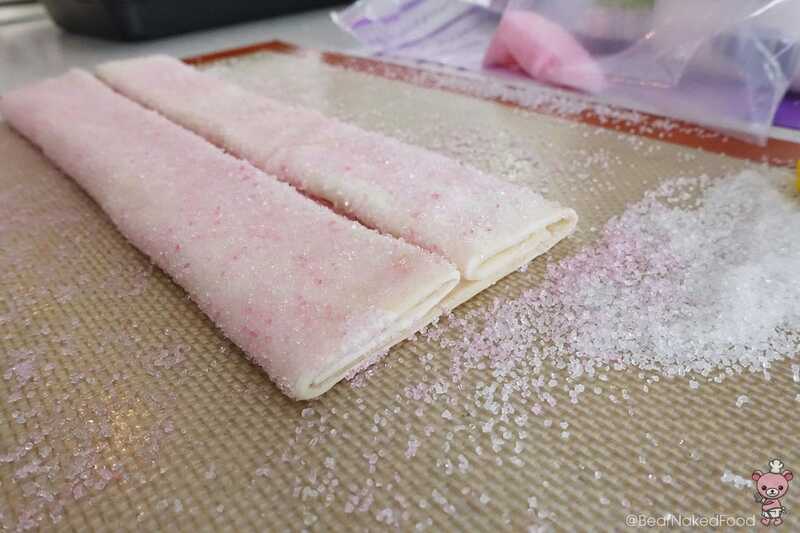 Seal the bag and gently squish the sugar around so the color will coat evenly on the sugar. 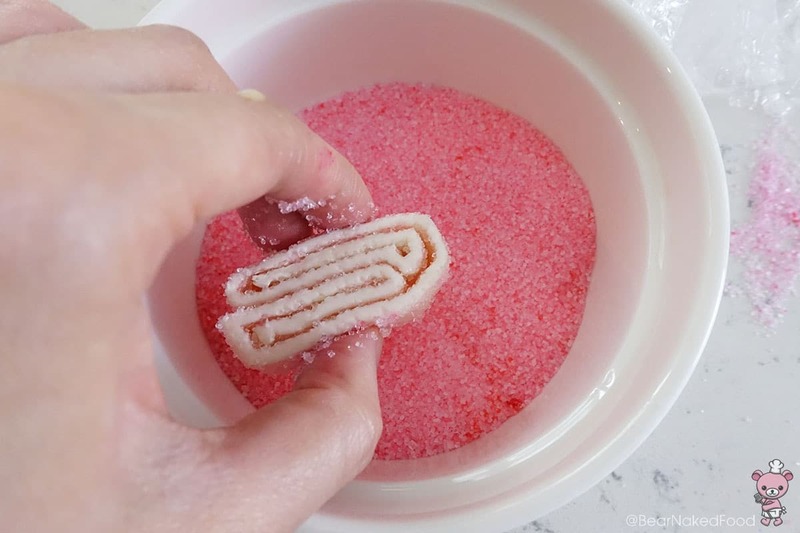 Pour the pink sugar in a medium bowl and set aside. If you are not using the food color, skip this step.